Set in Carvoeiro, this air-conditioned apartment features a garden with an outdoor pool. Guests benefit from terrace. Free WiFi is provided throughout the property. There is a seating area and a kitchen. Located in Carvoeiro, Villa d’El Rei offers an outdoor pool. This self-catering accommodation features free WiFi. The property is 4.9 km from Carvoeiro Beach. Accommodation will provide guests with a TV, air conditioning and a patio. Featuring free WiFi and a terrace, Casa Luz is a villa situated in Carvoeiro, 1.9 km from Benagil Beach. 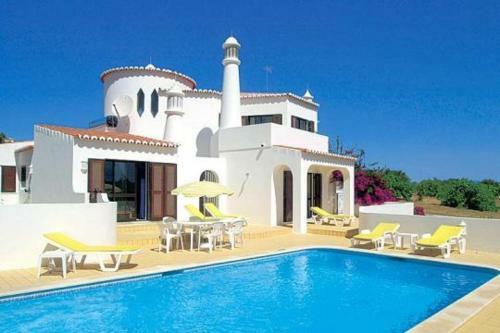 The property boasts views of the pool and is 5 km from Algar Seco - Carvoeiro. Free private parking is available on site.